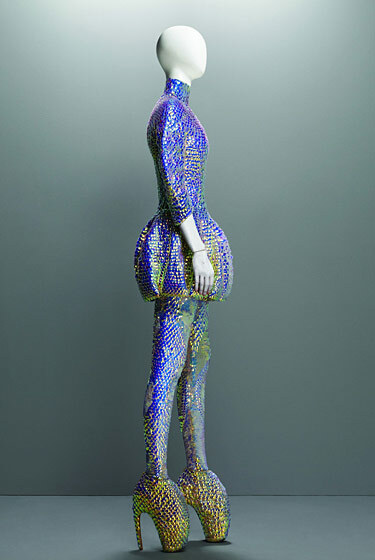 Six mannequins at The Ritz Hotel in London were dressed in McQueen yesterday morning. Standing at attention for Mr. McQueen. AP photo. 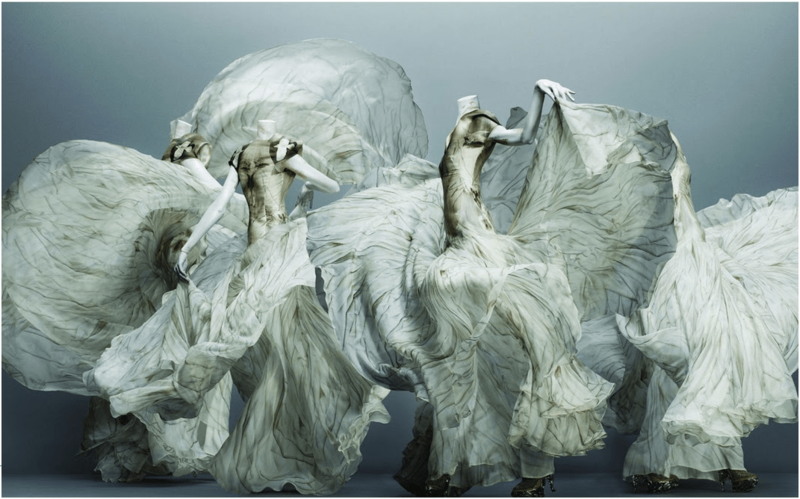 They, and a smattering of images offer a glimpse into what will be Alexander McQueen: Savage Beauty – an exhibition of the designer’s work to be held at the Costume Institute at The Metropolitan Museum of Art in May. Vogue’s Anna Wintour, Andrew Bolton, curator of the Costume Institute at the Met, and Samantha Cameron, wife of Britain’s PM, announced details of the exhibition and annual gala, which will be co-chaired by Stella McCartney, close friend of Lee. 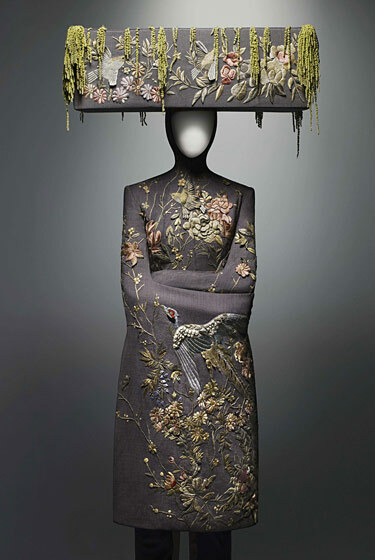 Alexander McQueen SS01 kimono coat and flower box hat. 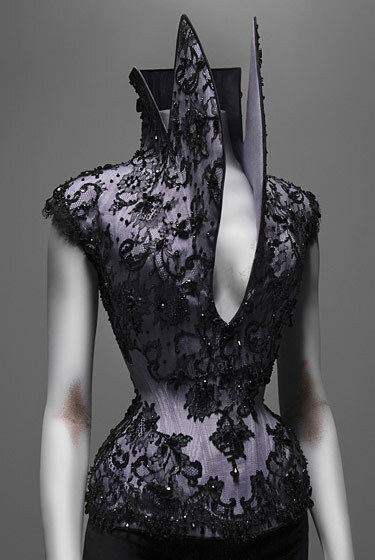 Alexander McQueen FW09 dark angel. Shalom’s infamous robot-painted dress. 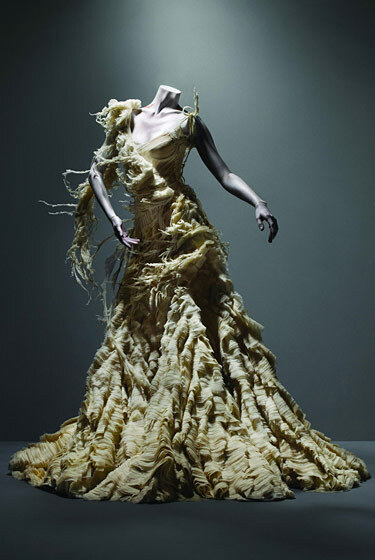 Alexander McQueen SS 1999. 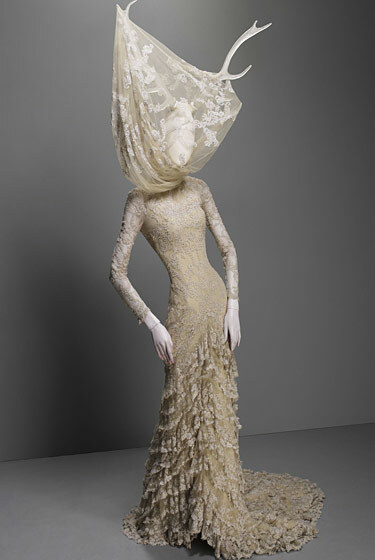 Always ahead of his time – the strong shoulder according to McQueen, FW 1997. 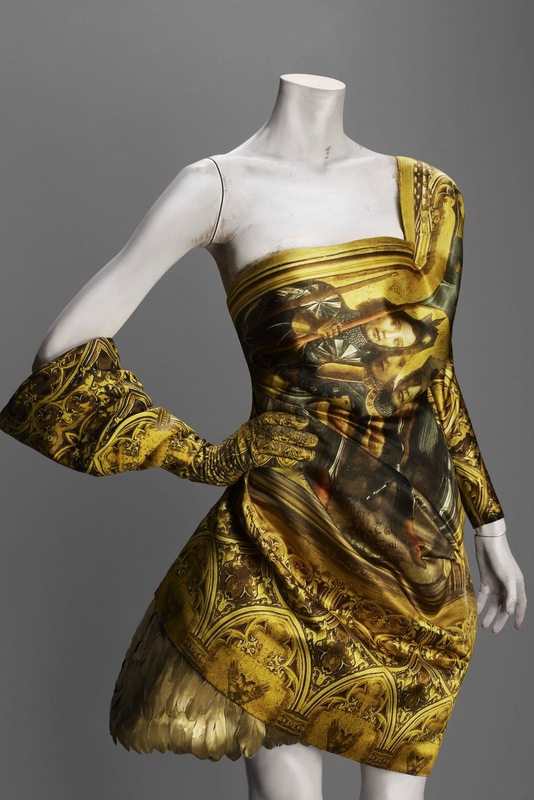 Alexander McQueen SS01 printed gown. Tiers of joy – and sorrow, for SS03. 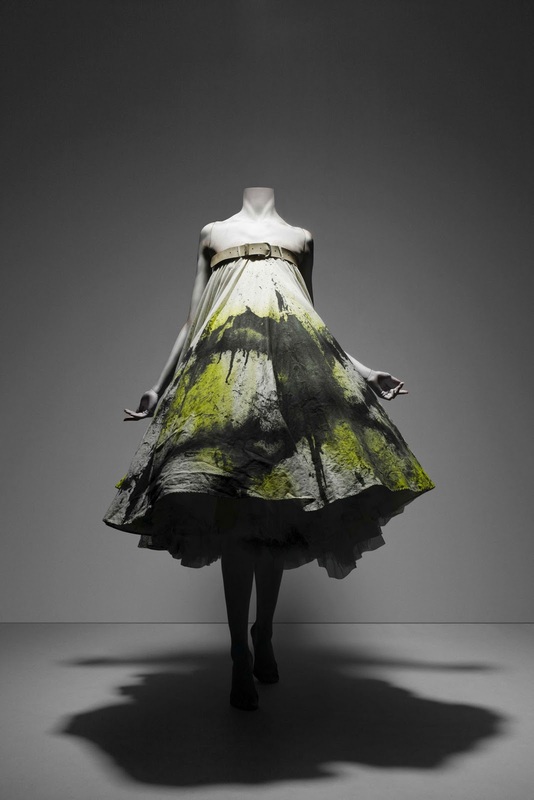 I saw this FW10 dress inside the store on New Bond Street in London, back in October and my eyes welled up at the sight of it. 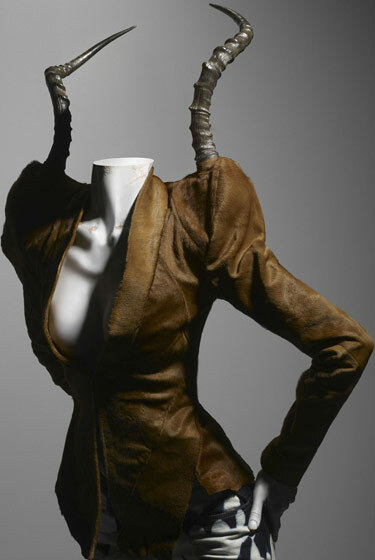 The jacket worn by Honor Fraser, one of McQueen’s favourite models, during the SS 1996 show. 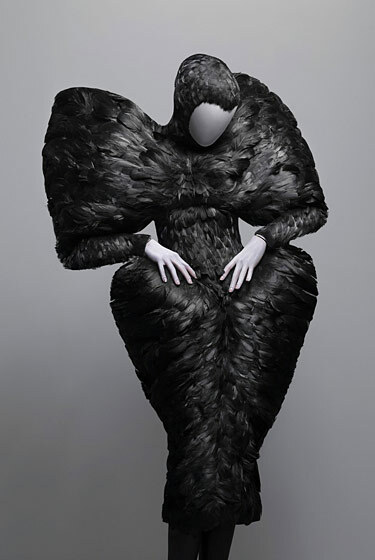 Alexander McQueen SS01 feathered gown. 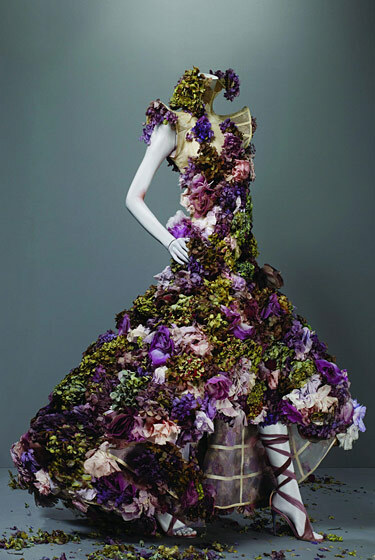 The pretty side of McQueen, SS07. SS10 dress and armadillo shoes from Plato’s Atlantis. 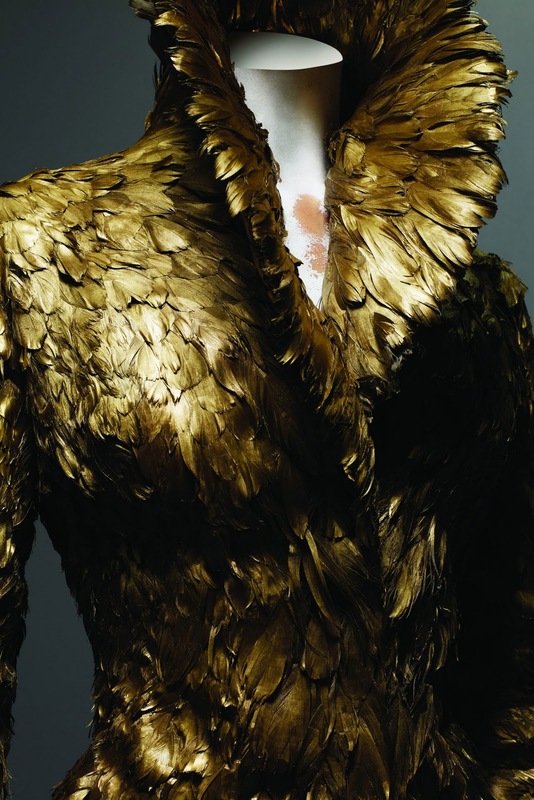 Gilded angels and demons from his final collection, FW10. The jacket we will never forget – from Lee’s final collection. 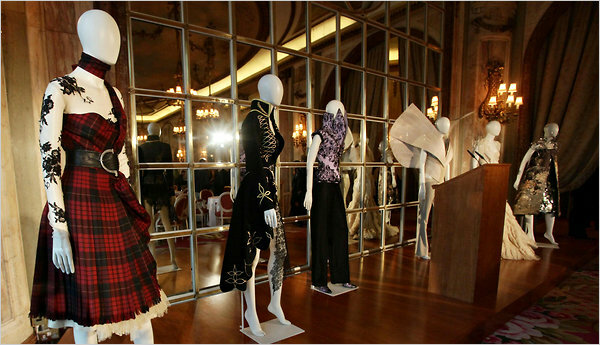 The exhibition runs May 4th – July 31, 2011 and the gala kicks things off, May 2nd. I am not a gala girl, nor a social scenester, but this night is particularly poignant for me. I wish I could be there to celebrate Lee, in the dress of my dreams. It never hurts to put a wish out into that sweet universe, does it? 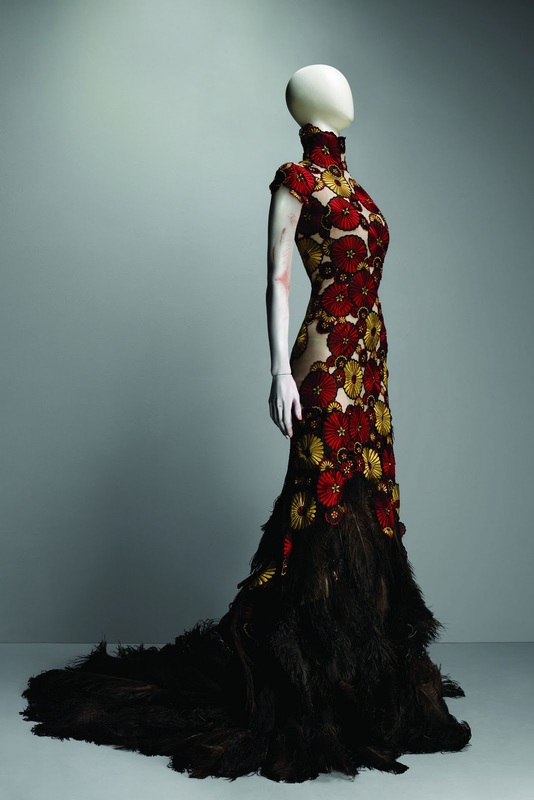 All photos by Sølve Sundsbø courtesy of the Costume Institute at the Metropolitan Museum of Art.